For the past several months, the advantages and disadvantages of scalp micropigmentation or SMP (the process of tattooing the scalp to mimic the appearance of shortly cropped hair on the bald or thinning scalp) has been highly discussed on our hair loss forum. This procedure is used to promote the illusion of increased hair density in individuals with thinning hair or a “shaved” or “cropped” appearance in those with a completely bald scalp. Scalp micropigmentation can be compared to topical hair loss concealers such as Toppik, Nanogen and DermMatch because it masks hair loss by creating an illusion of real hair. Thus, SMP (tattooing) is ideally suited for a very specific type of consumer. While scalp micropigmentation requires a high level of artistry to mimic the appearance of hair stubble, it’s still only 2 dimensional and isn’t an appropriate solution for men and women who want real, growing hair. Those who use scalp micropigmentation to sport the “cropped” look on top must be diligent in keeping hair on the sides and back of their head the right length in order to look natural. Initially, ink associated with scalp micropigmentation (tattooing) was permanent. However, several clinics and practitioners are now offering non-permanent SMP performed with temporary ink. Like any other solution for treating or masking hair loss, temporary scalp micropigmentation comes with its own set of advantages and disadvantages. Ink associated with temporary SMP only lasts 6 to 24 months before fading away. This acts as a significant advantage to those who desire the procedure but fear its permanent nature, or those who are dissatisfied with the results of the procedure and would otherwise require laser removal to correct unsatisfactory work. Secondly, the lack of black pigmentation used during the procedure works to decrease the chance of ink discoloration (turning blue or green over time). Discoloration over time is a known problem associated with using black ink for tattooing. Furthermore, ink is placed into a superficial layer of the scalp, which allegedly decreases the chances of ink losing definition, running or blurring. Repeating the process every 6 to 24 months also eliminates the concern of how the SMP result will look over time as the patient’s hair grays or changes color with age. While permanent scalp micropigmentation comes with a concern of fading, bleeding and discoloration; temporary SMP is purposely designed to fade over time. However, it’s not completely clear whether or not the tone of the ink will change while fading (possibly turning into a blue or green hue) or if the fading ink will result in an awkward, unnatural looking appearance until it completely disappears. Another disadvantage of temporary SMP is the need to repeat the process every 6 to 24 months. While also seen as an advantage to some, repeating the procedure so frequently requires additional costs, time and travel. This may not be realistic for many consumers. Like many other procedures that require great skill and artistry, not all scalp micropigmentation is equal. Each clinic has its own strategy, placement technique and often uses different types of ink. At this time, there is limited information available as to which technique and inks are superior or inferior. Thus, those considering SMP should do their due diligence in researching each clinic’s technique, tools and view examples of SMP results from each clinic they’re considering – preferably in person. Several reputable clinics are now offering temporary Scalp Micropigmentation featuring Beauty Medical’s technique as developed by Milena Lardi of Milan, Italy. While Milena Lardi’s technique is only one of several, her technique and results in particular seems to have made a huge impact on hundreds of hair loss sufferers and several leading clinics. These include Feller Medical (Dr. Alan Feller), Hasson and Wong (Dr. Hasson and Dr. Wong), Dr. Lindsey and Shapiro Medical Group (Drs. Ron and Paul Shapiro). It’s important to note that technicians, not the physicians listed above are performing this procedure and at this time, have limited real-time experience in performing the procedure. Dr. William Rassman‘s clinic offers his own unique approach to scalp micropigmentation and has been performing the procedure for some time. Both procedures by the above listed reputable clinics are worth considering for those interested in the procedure. Altogether, we suggest that those interested in SMP research and weigh both the “pros” and “cons” of temporary and permanent scalp micropigmentation and each technique before undergoing the procedure. 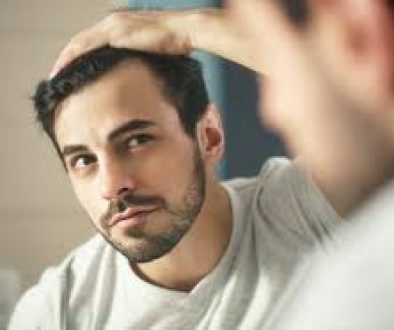 Can Minoxidil (Rogaine) Hair Loss Solution Cause Seborrheic Dermatitis? How Long Should Patients Wait Before Scheduling a Second Hair Transplant Procedure? I like that you pointed out that you don’t see as much discoloration with the micropigmentation as you do with other ink related procedures. I’m sure this would be a big concern for those who are thinking of getting it. I have a friend that has early balding and could probably benefit from trying this out. I’ll be sure to see if it’s something he’d be interested in trying out!